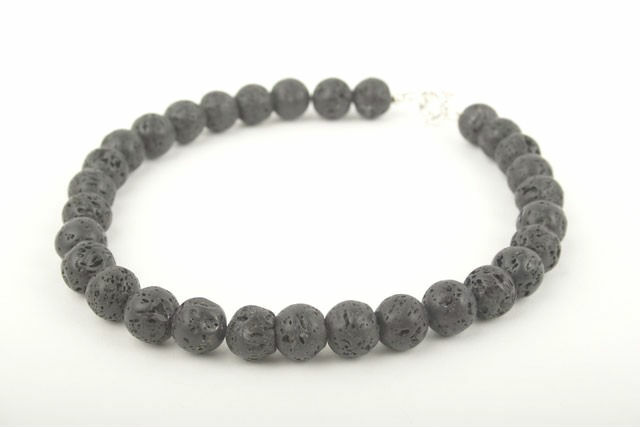 Unusual beaded necklace made with unique black lava stone. Each bead has natural incisions and no two beads are the same. The beads have a smooth lustre. Necklace measures 18 inches. Finished with a large silver nautical clasp.